This unique well renovated property is situated in the hill side village of Vico Pancellorum which is a short drive from skiing area. The property is set on 4 levels and inclusive of a wonderfully panoramic paved terrace that has shared with a neighbouring property. Ground floor – this consist of a splendid living room with fireplace this leads directly onto kitchen with the most exceptional views of the valley, on this floor the are 2 bedrooms and 2 bathroom one of which has its own private. First lower level – the is a large hallway that leads into a room used as a bedroom. the is also a balcony terrace that looks into a double height room. Second lower level – hear we have a large cellar used as storage the is the double height that leads down to the panoramic terrace . Top level – there is a small but truly charming terrace that overlooks the towns terracotta roofs the glorious views below. Vecchio Albergo e bar, di circa 400mq, accanto alle terme di Bagni di Lucca con terreno e vedute panoramiche. Due unità abitative adiacenti ristrutturate situate in Vergemoli, Lucca. 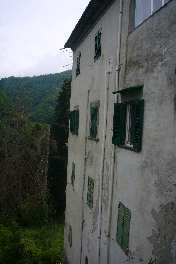 Due appartamenti con giardino con viste panoramiche nel centro storico di Barga, Lucca. 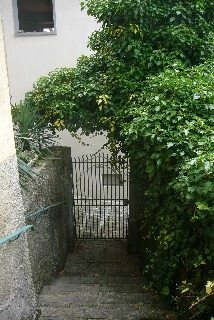 Casa di paese, in stile rustico, con giardino e piscina. 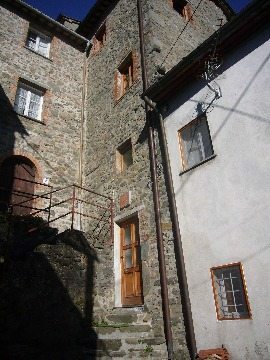 Proprietà casa con giardini situata nel paesino di Albiano vicino Barga(Lucca). Questa piacevole casa di città, affaccia su Piazza Garibaldi , si sviluppa su 4 livelli situati nel centro storico di Barga, Lucca. Casa ristrutturata posta su tre piani con terrazza e terreno, situata in ambiente tranquillo e panoramico.